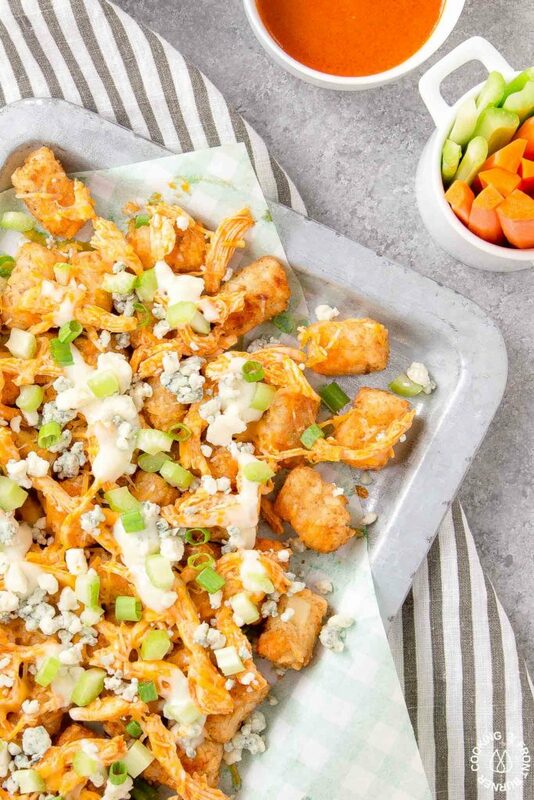 Cheer on your favorite team while enjoying these game day Buffalo Chicken Totchos. 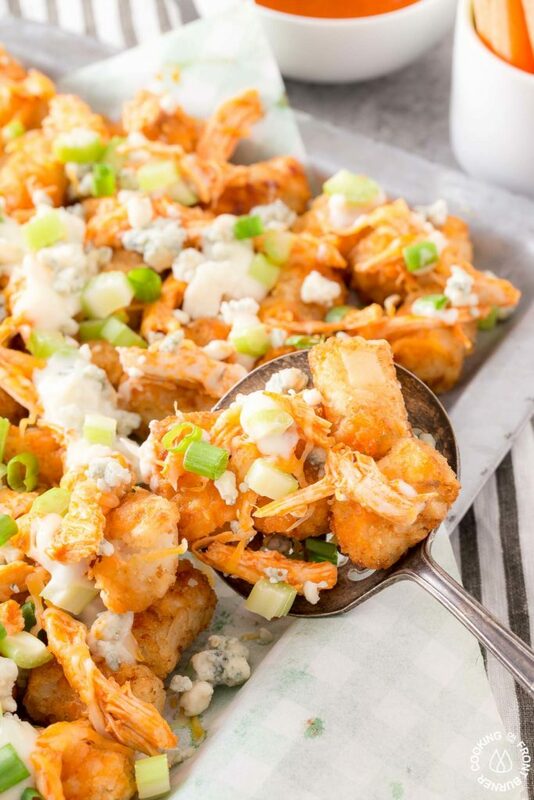 These tots are loaded with chicken, a nice kick of spice and topped with creamy blue cheese! 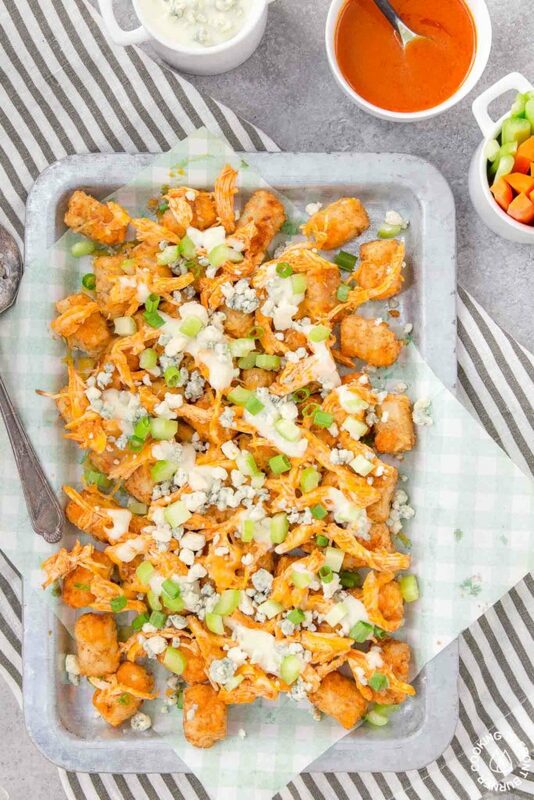 While these Buffalo Chicken Totchos are perfect for game day, you can certainly enjoy them whenever you want. 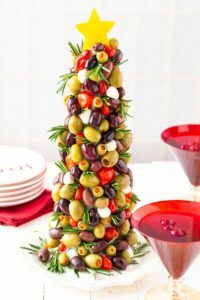 We even enjoyed these as a quick lunch! 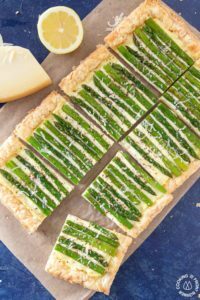 Well, because when you are a food blogger, you need to eat the goods when they are ready – morning, noon or night! 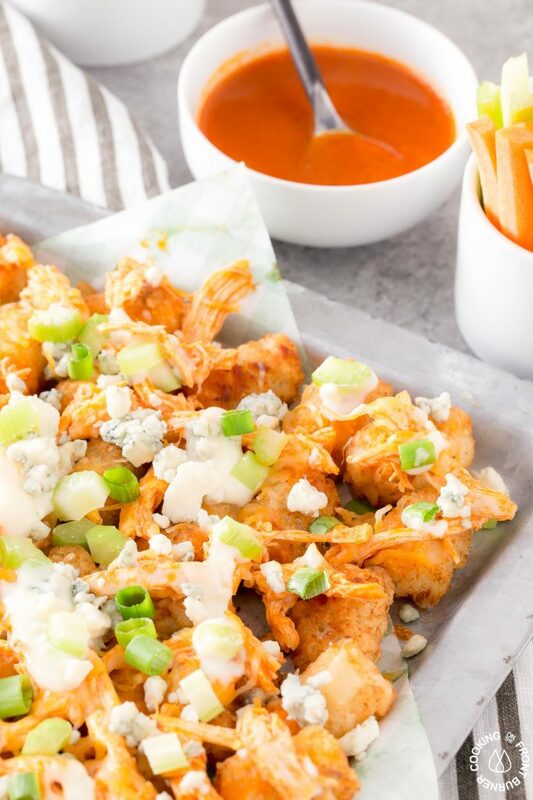 We all know game day is all about the food, right? 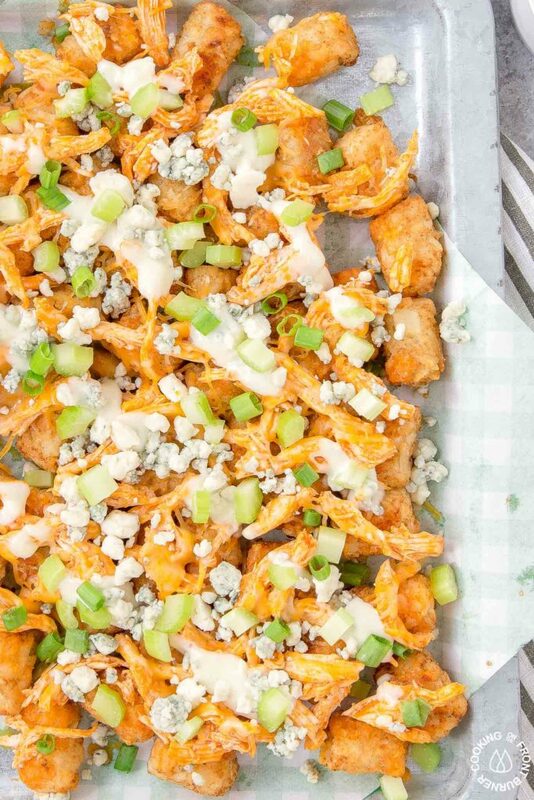 Sure you could just watch the game but having some great snacks to go along with it, takes your game watching experience to a whole new experience. 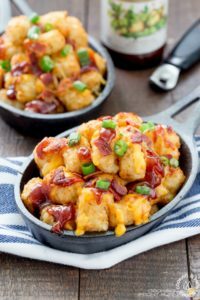 Grab a tasty beverage, set out your food, and cheer for the purple and gold! (ha, or your favorite team). 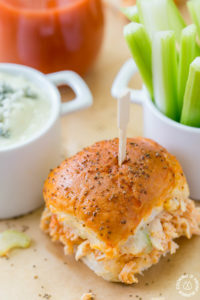 Some other easy snacks that you might are enjoy are these Game Time Deviled Eggs that I made recently, these Buffalo Chicken Sliders, and for dessert some Peanut Butter Cookies. 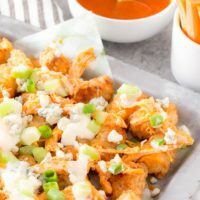 No worries – I have your game time menu planned for you! 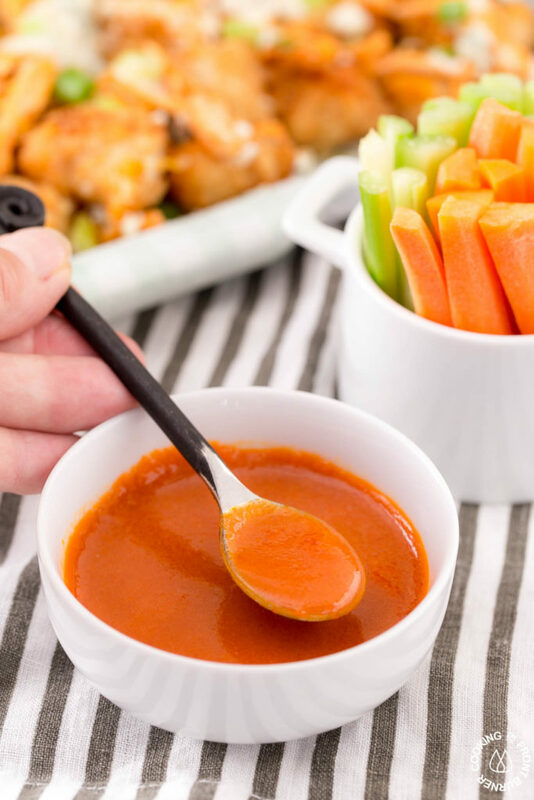 Make your own buffalo sauce – I think it is worth the extra effort and I found a great recipe from Nagi at Recipe Tin Eats. 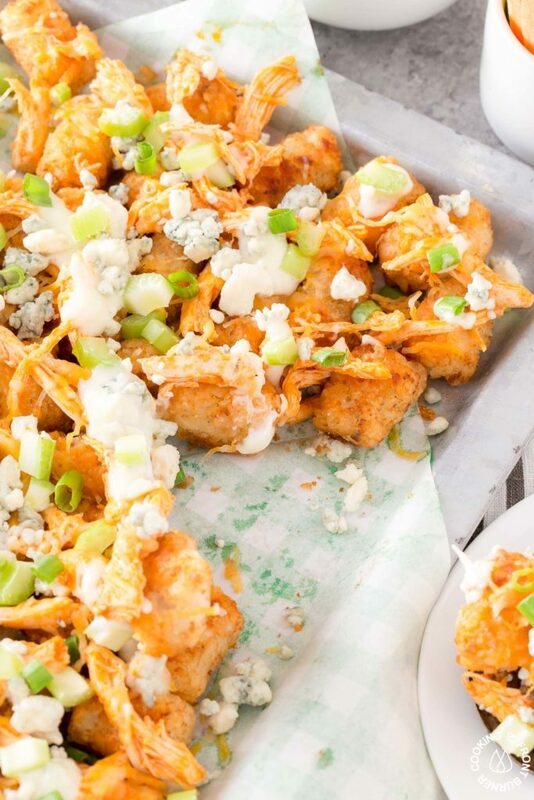 It’s easy peasy and tastes great!